Today, we’ll bring you one the best penny stock to buy now. We love this stock because it has the potential for triple-digit returns in a very short time. The Dow dropped more than 2% in the first week of March as fears about the global economy took center stage once again. Even when the market headed south, some stocks were defiant and soared. That’s what is so great about penny stocks. They often soar double or triple digits even when the markets are dipping. Urgent: You can bank your share of $21 trillion in unclaimed U.S. wealth starting today. For example, Midatech Pharma Plc. (NASDAQ: MTP) skyrocketed 584%, from $0.13 to $0.89 per share, on Feb. 26. This move followed news that it was finalizing a licensing agreement with a Chinese pharmaceutical company. Now, we obviously don’t recommend MTP, since most of its gains are behind it. But that just shows the power of investing in penny stocks. 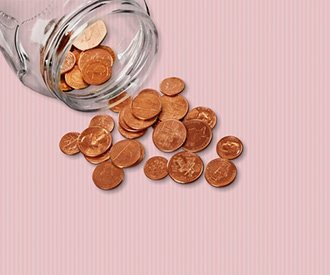 If you want to invest in penny stocks, it's important to understand a few basic rules. Here is a rundown of our guidelines for safety as well as our pick for the best penny stock to buy now, with the potential for breakout returns. While impressive gains are available on some penny stocks, this isn't the case for the majority. There are over 2,800 stocks on the market that qualify as penny stocks. So, how do you choose the right investment? First, it's important to stick with the major exchanges such as the New York Stock Exchange and the Nasdaq. These have stronger reporting requirements than the over-the-counter exchange or pink sheets. Another tip is to focus on stocks that are getting attention from analysts and preferably some positive coverage. No news is not good news when it comes to Wall Street. There should be some coverage by different analysts and price targets that are above where the stock is currently trading. While a high price target isn't a guarantee, this is a solid indicator of a stock's potential over the next year. Also, look for stocks that are in emerging or hot markets. Some companies might have buyout potential or lucrative partnerships with major companies. These are catalysts for massive share price growth. Finally, know your limits with penny stock investing. Avoid investing too much of your portfolio in these stocks in the hopes of hitting it big. Instead, make smart investments and limit your exposure by allocating a small portion of your overall portfolio to penny stocks. We recommend no more than 2% of your investing capital go to penny stocks. While it's important to protect your cash with these investments, there are still major profits available if you know where to look. Even when the market heads south, some sectors will be red-hot. Take the global gaming industry, for example. Gains in esports over the next year could drive our pick for the best penny stock to purchase today to jump over 100%.